Whether or not you're a big drinker, you may not feel like sitting down with an ice cold beer or a nicely chilled glass of wine on a freezing winter day. The next time you want something warm in your hand and don't want an alcoholic beverage, think about one or more of the following options. 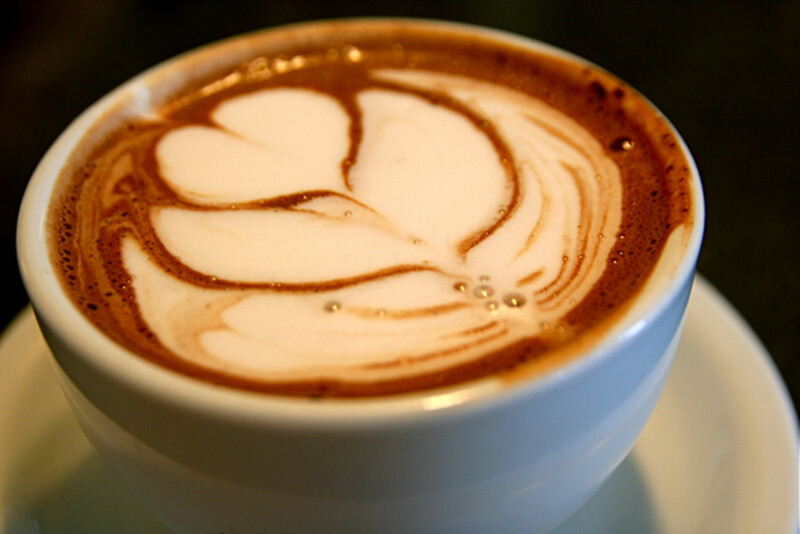 It's hard to go wrong with a classic drink like hot chocolate. One of the simplest ways to dress up a cup of hot cocoa is with marshmallows or whipped cream. If you want to mix things up, think about adding chocolate shavings, crumbled cookies, butterscotch syrup, crushed candy canes, or a cinnamon stick. 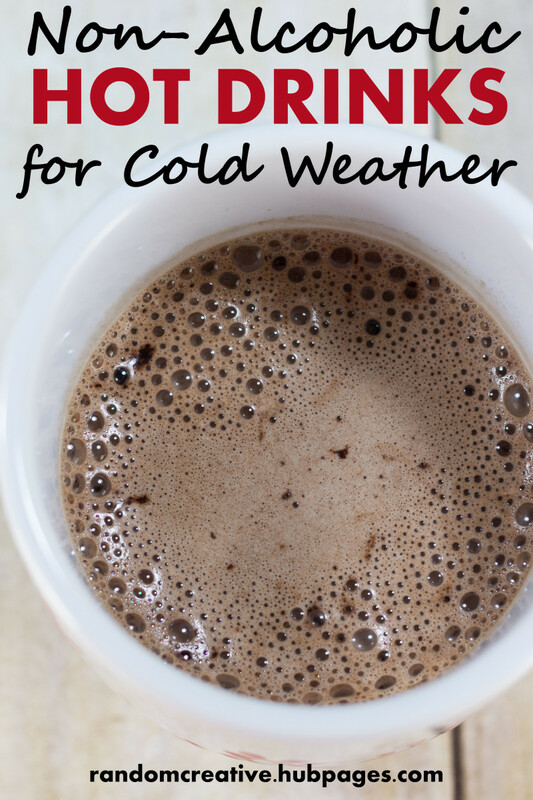 Are you making or ordering hot chocolate in the fall or winter? Pumpkin and peppermint are two of the most popular seasonal offerings. If you prefer fruit, think about using a recipe that includes raspberry or orange. Alternatively, think about making a rich hot chocolate with one of my personal favorite chocolate pairings: peanut butter. 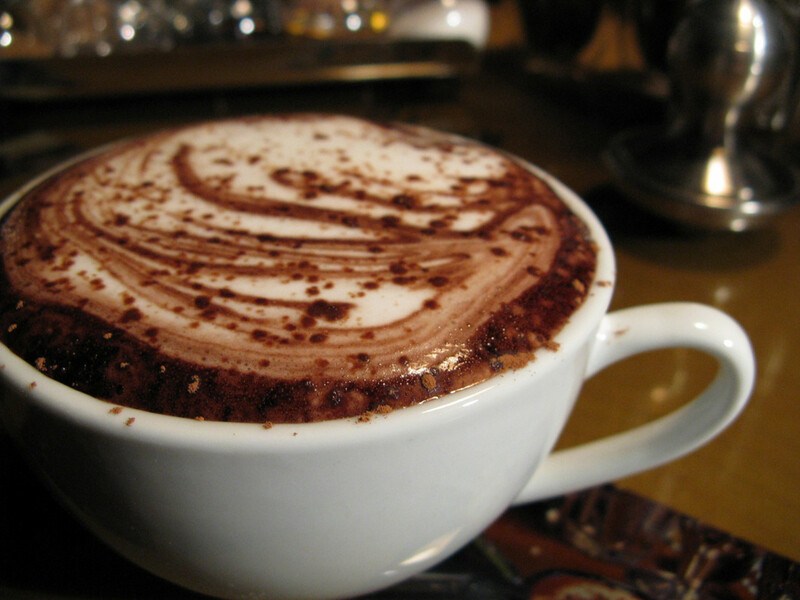 Finally, you can also look for international hot chocolate recipes, such as Mexican and Italian. If you'd rather be eating (or drinking) white chocolate, you can substitute white for most recipes or look for a recipe specifically designed for white chocolate, such as these hot chocolate recipes from Gimme Some Oven and Cadbury. Of course you can't go wrong with classics like green tea and Earl Grey tea. If you want to add a little something to your tea, a splash of milk and a sprinkling of sugar goes a long way. There are lots of more complex variations as well such as cinnamon tea or sweet honey mint green tea. Chai tea is all the rage these days. You can always can pick it up at your favorite coffee shop, but you can also learn to make it at home. 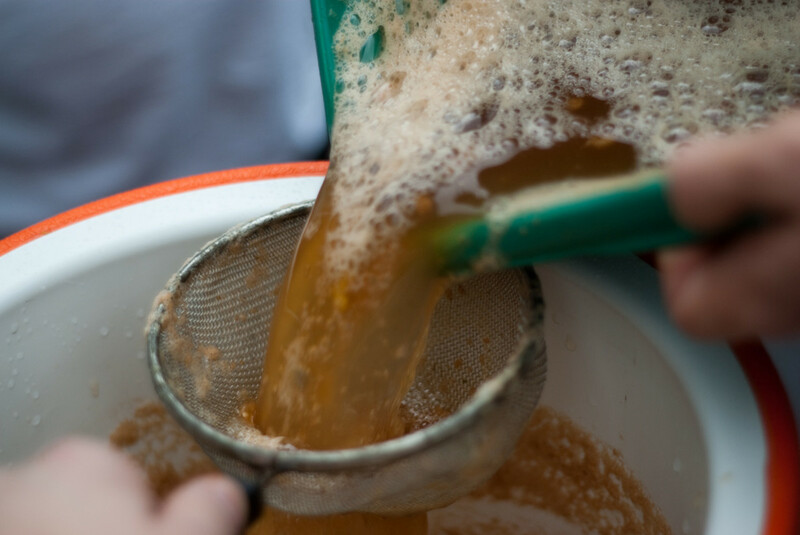 Preparing concentrate or mix ahead of time allows you to enjoy a cup whenever you like, even when you're trying to get out the door in the hurry before work. Amy at Mom Advice shares a recipe for homemade vanilla chai tea mix while Kelly at Primally Inspired has a recipe for chai tea concentrate. Another popular tea right now is Russian tea, which features refreshing lemon and spices. Check out Russian tea recipes at Runs With Spatulas and I am That Lady. 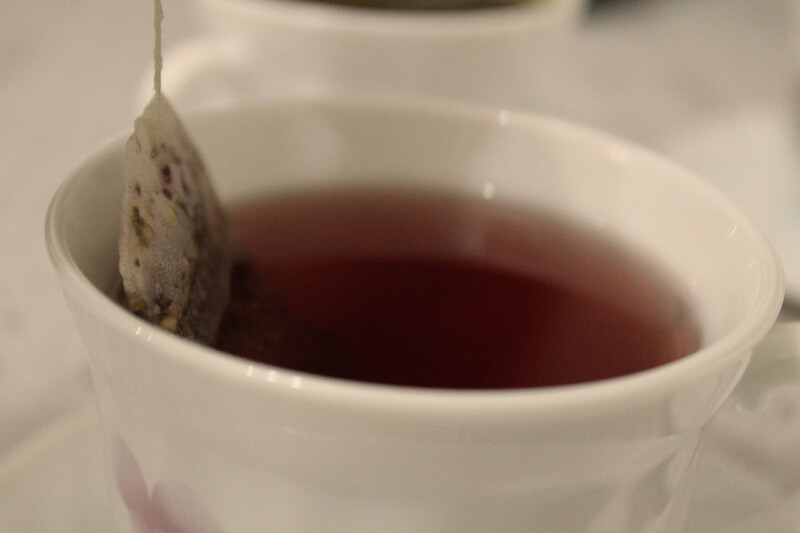 If you want to enjoy tea without the caffeine kick, herbal tea is a great option. There are lots of classic herbal teas as well as fun variations such as hot coconut herbal tea. Learn how to make a London Fog Tea Latte (a.k.a. Earl Grey Latte) homemade! This London Fog drink is super simple, affordable, and perfectly comforting. A recipe on how to make delicious (and pretty!) rose milk tea. The biggest problem with buying or making coffee is figuring out what you want. With so many popular options these days, it can be hard to know where to start. If you love black coffee or simply add a little milk and sugar, buy the highest quality whole beans that you can and grind them yourself. Are you a fan of flavored coffee and/or flavored coffee creamers? The easiest way to make flavored coffee is to add spices right to the ground coffee beans. Cinnamon, pumpkin pie spice, vanilla extract, and peppermint extract are all great choices. You can also buy any number of different flavored coffee creamers or make creamer yourself. Melissa of How to Do This and That shares recipes for three non-dairy creamers while Maria of The Frugal Find teaches her readers how to make homemade flavored creamer. Seasonal coffee drinks have become widespread with pumpkin spice, peppermint, and eggnog (keep reading for the eggnog recipes) among the most popular. You don't have to wait until they're available in coffee shops to enjoy them at home when you make them yourself. How to make your own Pumpkin Spice Latte- simple, step by step directions. Easy and delicious. Photographs and recipe included. Personally apple cider is one of my favorite cold weather drinks. I always get excited when I see it in well stocked at the end of a display aisle in the grocery store in the fall. Honestly I've never made cider from scratch. Most grocery store varieties are solid. If you want to take it up a notch, keep an eye out for it at the local farmers market. With that being said, there are lots of ways to dress up cider. Most recipes involve some combination of orange juice, lemon juice, cinnamon, cloves, ginger, and nutmeg. If I'm making it on the stove, I like to use sliced oranges or lemons as opposed to juice. You'll have to experiment with different ingredients to figure out what you prefer. One of the easiest ways to prepare apple cider is in the crock pot. If you're having people over, you can get it ready ahead of time and let it fill the house with its amazing smell while you're making the food. You can make slow cooker apple cider with virtually any apple cider recipe. Check out some guidelines for preparing it in the crock pot at Bakerette. Of course, butter beer is a natural choice for Harry Potter fans, but you don't have to be a fan to enjoy this delicious drink. 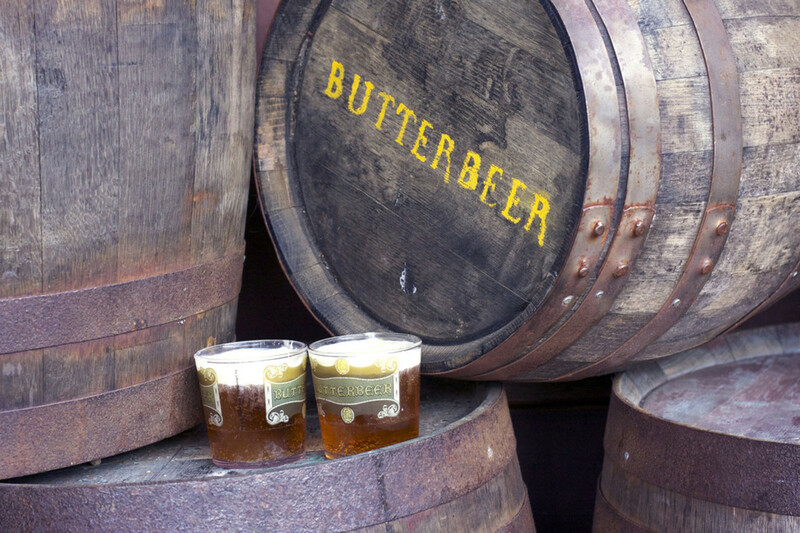 The Wizarding World of Harry Potter at Universal Studios has brought on a wealth of butter beer recipes online. Most butter beer recipes are intended to be served cold, but you can find hot drink variations to get you through fall and winter. 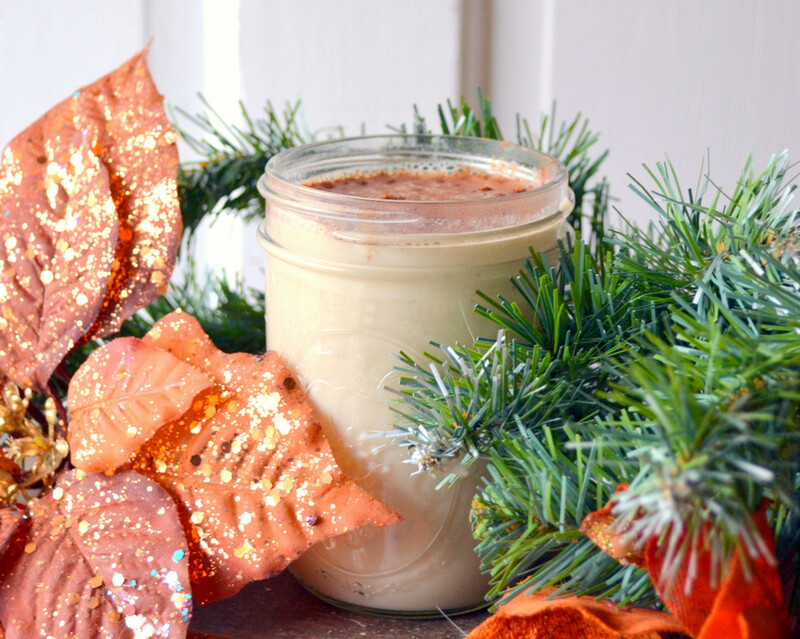 Harry Potter inspired butterbeer latte recipe! Super delicious and easy to make, plus instructions for ordering one from the Starbucks secret menu if you don't want to make one at home! Is there anything more simple and comforting than hot milk on a cool night? A few spices and orange zest are all you need to dress up the milk. Think about adding cinnamon, nutmeg, cloves, ginger, vanilla extract, and/or orange zest. If you like your hot milk sweet, add some sugar or honey. If you prefer your hot milk a little spicy, add a pinch of cayenne pepper or chipotle powder. Most people drink eggnog cold, but there is no reason why you can't turn it into a hot drink. Whether or not you're a Starbucks coffee drinker, you've most likely heard people raging about the eggnog latte. If you're missing the latte once it's off of the menu, try ordering one of the drinks described on Starbucks Secret Menu. You can also grab eggnog latte recipes from A Sweet Peach Chef and Eclectic Recipes. 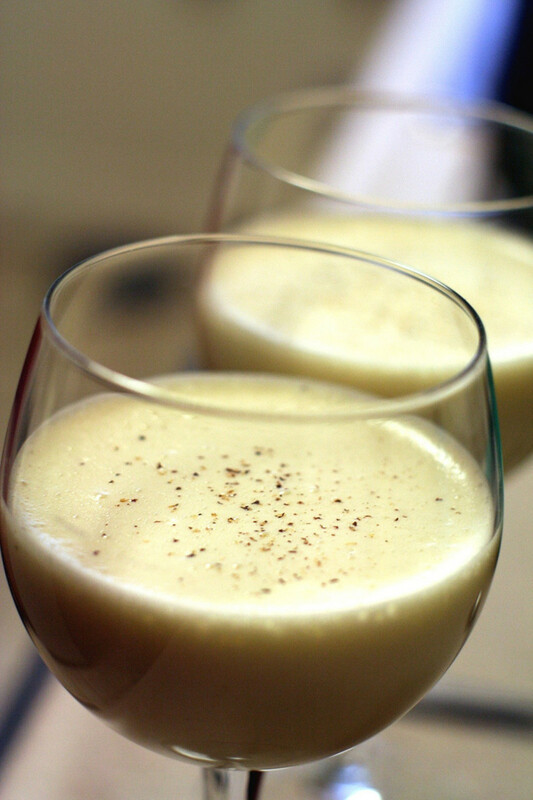 Finally, you can even make eggnog in the slow cooker. There's a recipe over at The Magical Slow Cooker. Aren't in the mood for an eggnog latte? Think about making eggnog hot chocolate instead. Pick up the recipe at Kleinworth & Co. 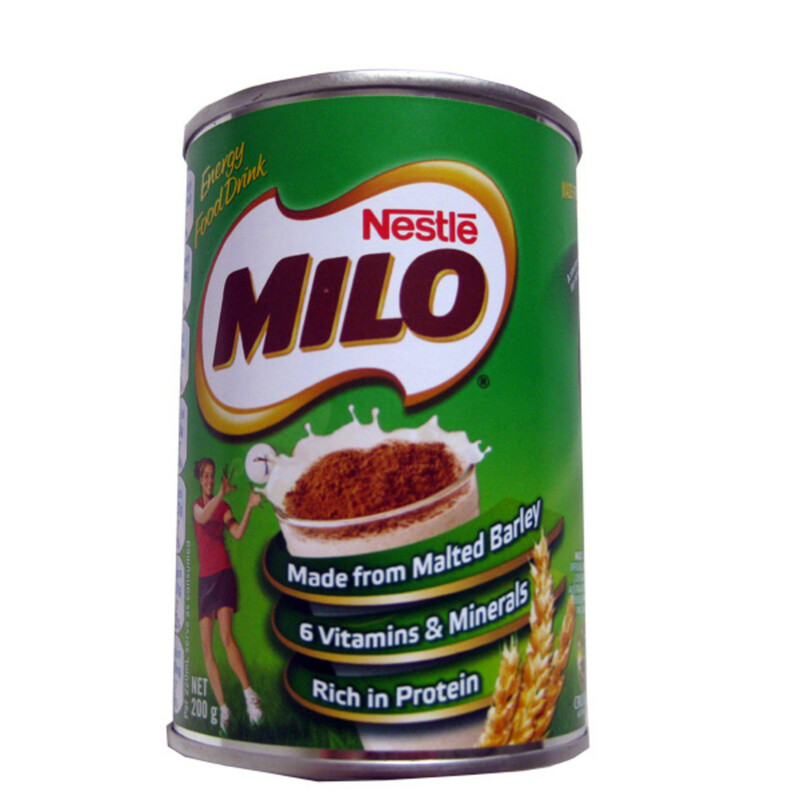 I love non alcoholic drink particularly hot chocolate. Thank you for the tutorials. After reading this I went straight to our local coffee shop and got a yummy hot chocolate! thanks for the inspirations to enjoy this chilly weather we are having! This is awesome! I love hot tea. I drink it almost every night, and since being sober I have found the power of a nice cup of steaming hot chocolate. Yummy! Valene, butter beer is from the Harry Potter books. I know the name is weird, but it's an amazing drink! I am a fan of hot drinks but I've never heard of butter beer! I'm not sure if I'd try that one or not...great hub! That's awesome, FlourishAnyway! Glad that you enjoyed seeing it here. My family was just talking about Butter Beer the other night. Oh, is that ever awesome. Thank you for including it. I hope that you feel better soon, Glimmer Twin Fan! I agree that hot beverages are very soothing. Thanks, Thelma! 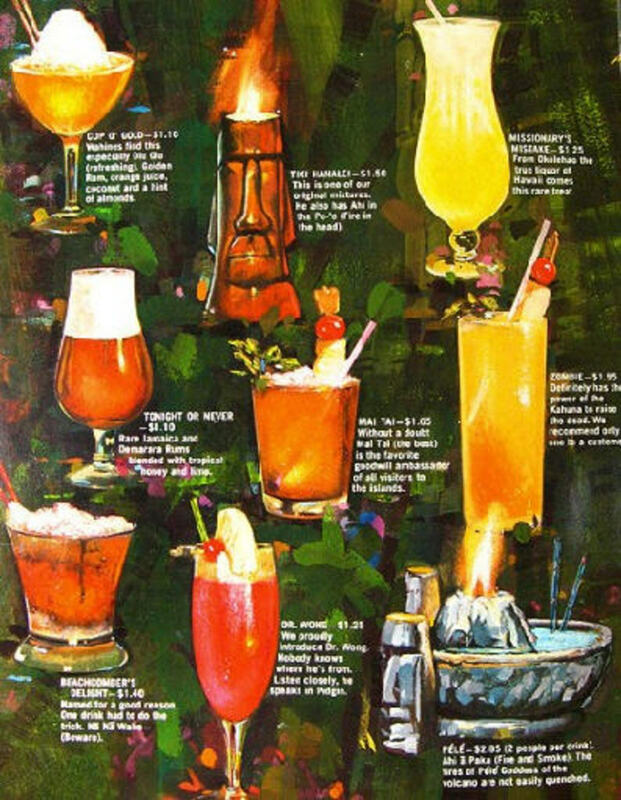 I hope that you get a chance to try those drinks soon. What delicious ideas you have here.I have not tried butter beer yet and peanut butter in hot chocolate. Thanks for the tips. tirelesstraveler, vespawoolf, and Marlene, thanks for the feedback! I'm glad that you liked the options for butter beer and peanut butter hot chocolate. Enjoy your drinks! These are all wonderful ideas. I've never thought about putting peanut butter in my hot chocolate. I like the idea of that and will, of course, try it with my next cup. What good ideas! I´d never thought of peanut butter hot chocolate, but I know I´d like that combination. I didn´t realize there are recipes now for butter beer. I´ll have to make a mugful tonight! Butter Beer sounds most interesting. The video was a nice touch. Wish I had read this earlier when I wanted something hot that wasn't tea. I would have taken some hot apple cider. Thanks for your input on hot chocolate and the Keurig machine, easylearningweb! Great ideas for cold winter nights! since I'm lactose intolerant I buy lactose free chocolate milk and then put it in the microwave for instant hot chocolate. 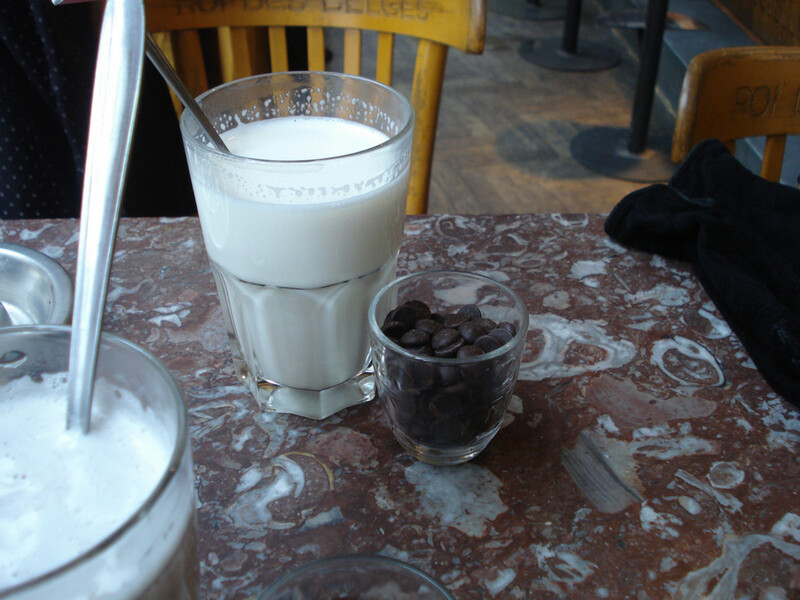 I also recently tried dark chocolate soy milk and that was very good as well. twoseven, I'm so glad to hear that! Enjoy the new hot chocolate recipes. MsDora, you'll have to check out butter beer sometime. I am familiar with Teavana, thanks! Butter Beer is the only strange one to me, but I know that the others are all great suggestions. However, my preference is tea, and for your tea lovers I would like to add a suggestion to your list, if I may. Check out "Teavana." Thanks for your ideas. Great ideas! 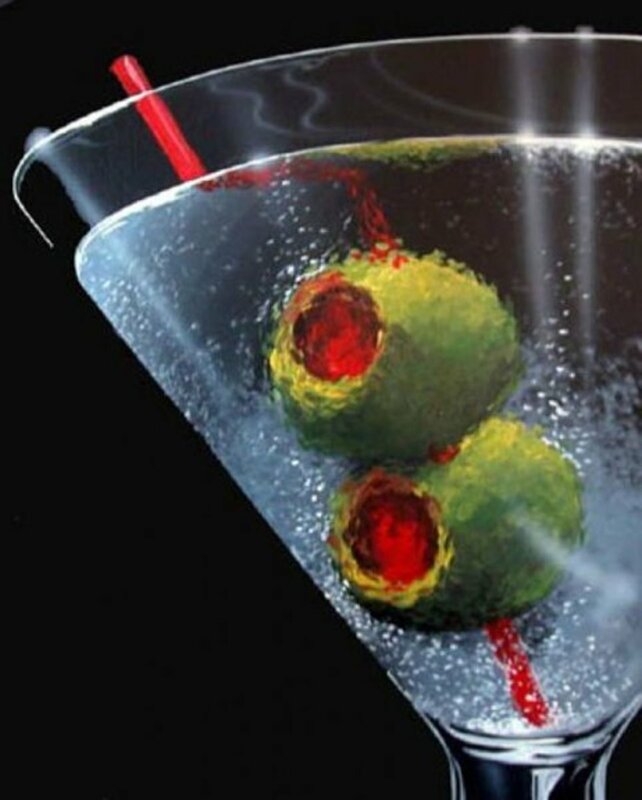 I generally stay away from alcohol, and it's great to have some new ideas for some fun drinks in these cold winter months! I especially appreciate the hot chocolate variations.